The former UTU (now SMART Transportation Division) established the position of human rights coordinator in February 2000 as part of a broad-based effort to educate members and employers and to promote awareness of the advantages of diversity in the union and in society. A team of SMART TD members and SMART TD International employees was chosen to make up the SMART TD’s Human Rights Committee (HRC) to ensure that every voice within the organization is heard and respected. SMART TD shares with the late Dr. Martin Luther King Jr. the dream that men and women should be judged not by the color of their skin, their nationality or religious beliefs, but by the content of their hearts. Effective January 1, 2017, the point of contact for the Human Rights Committee is Tracey Neighbors in the SMART TD legal department in Cleveland. Neighbors intakes the initial inquiries, and after consultation with the HRC and legal counsel, assigns the assistance deemed appropriate to the request. This change is intended to provide a more uniform method of intake and handling while preserving the excellent service and professionalism provided by our HRC representatives. To contact Neighbors, please email: tneighbors@smart-union.org. 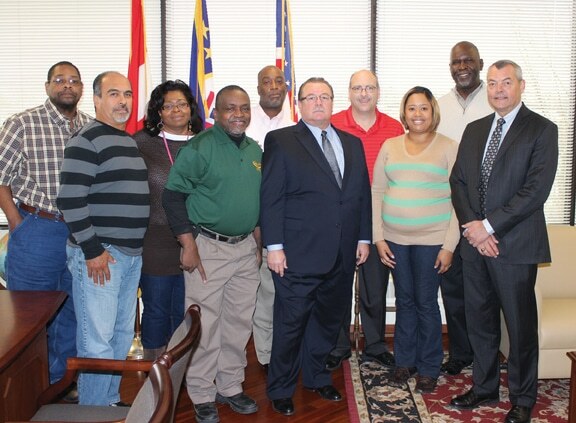 SMART Transportation Division is committed to diversity. At all levels of our organization, we work to ensure equality in the workplace. A handbook for the committee, “Diversity and Human Rights,” can be viewed by clicking here. William R. Smith, Robert Resendez Jr., Barbara Bankston, Billy Moye, Jesse Turner, John Lesniewski, David A. Stinsman, Samantha D. Taylor, Glen E. Johnson, John Previsich.